Capacity: 16 oz. Capacities calculated to rim. 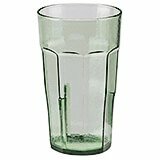 Laguna Tumblers feature the look and feel of glass, but they are made of break resistant SAN and will deliver years of dependable service. Hammered texture catches the light and hides water spots or scratches. Lightweight and easy to carry. Laguna tumblers are BPA Free. 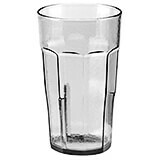 Laguna Tumblers feature the look and feel of glass, but they are made of break resistant SAN and will deliver years of dependable service. Hammered texture catches the light and hides water spots or scratches. Lightweight and easy to carry. Capacity calculated to rim.